In January, the Turkish military launched an offensive; “Operation Olive Branch” against the Syrian Democratic Forces (SDF) which consists of mainly Kurdish militias, led by the YPG and YPJ, their women’s division. This was launched in the Afrin district and Tell-Rifaat sub-district, both controlled by the SDF. Turkey claims this imperialist manoeuvre is a means of combating ISIS in the region. However, ISIS do not control these regions with the YPG/J being responsible for many gains against the anti-Islamist forces since their rise and subsequent fall. The offensive has been ongoing for almost two months, and has resulted in numerous land changes, Turkey, on the 18th of March finally taking Afrin, with its eyes on Manbij. The Turkish capture of Afrin has resulted in the displacement of some 150,000 people which will no doubt lead to the mass genocide of ethnic Kurds by Turkish forces, who aim to suppress the yearning for liberation of the Kurdish people. 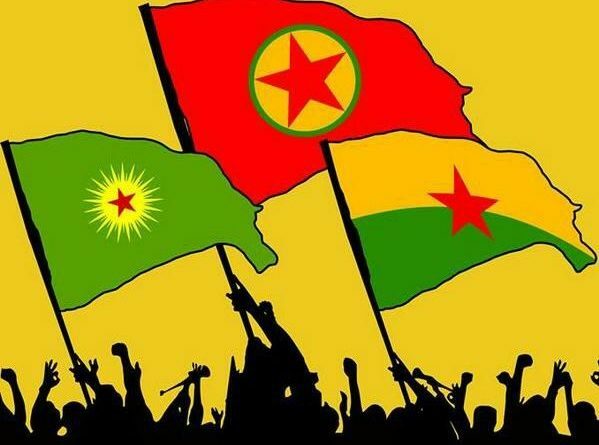 The Kurdish people are the largest group of people on earth without a homeland, many groups are fighting for an autonomous Kurdistan, most notably the PKK (The Kurdish workers party). Founded in 1978, the PKK are a progressive, feminist, socialist party which fight for equal rights of women and an autonomous Kurdish state, named Kurdistan. The PKK was outlawed in Turkey in 1980 and using the Kurdish language was banned in public and private life, many who spoke in, wrote in or sang in the Kurdish language were imprisoned. A full-scale rebellion of Kurdish people began in 1984, amassing a total of over 40,000 deaths a large percentage of whom, were Kurdish civilians, the European court of human rights has condemned Turkey for thousands of humans rights abuses including execution, and torture. The systematic attempt of dismantling the Kurdish culture mirrors our own fight for self-determination in Ireland, as Connolly said, ‘For six hundred years the English strove to suppress that mark of the distinct character of the Gael – their language.’ The preservation and pride the Kurdish people have in their culture serves as a reminder to us in Ireland, that the emancipation of all the peoples of Ireland is not restricted to the freedom from the shackles of wage labour but also the freedom to express Irish language and culture. This freedom has been caged by reactionary forces on our island for centuries, with the DUP being our latest captor in the North. Erdogan, the current Turkish President has vowed that he will “crush” the YPG, which he calls an extension of the PKK, calling the YPG a terrorist group, although the YPG denies any official links to the PKK. Afrin is a key area to both Turkey and the SDF/YPG, as it is separated from Manbij by an area controlled by Turkish backed rebels meaning that since Turkey has now taken Afrin, as of March 18th 2018, they now control a large stretch of Syria’s northern border, just west of the Euphrates, if Manbij were also to fall, this would reach 125 miles, this infringement of Syria’s borders, along with Erdogan’s statement that he will not be handing over Afrin to the Syrian government, headed by Bashar Al Assad, has led the Syrian government to assist the Kurdish people in their defensive fight against the Turkish forces. 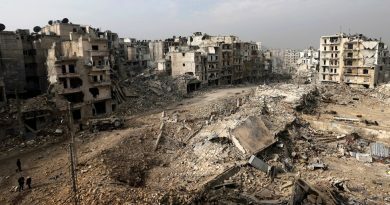 However, it should be noted that the actions taken by Assad are in no means a way of advancing the right of sovereignty of Kurdistan and the liberation of the Kurdish people but as a means to protect Syria’s oil interests in the region, preventing the emancipation of ethnic Kurds in a Northern Syrian revolution. As well as their Islamic fundamentalist proxies they are using in the fight, Turkey has been accused of using ex-ISIS fighters to assist them in Operation Olive Branch, a former ISIS member said that Turkey were using the name of the Free Syrian army (FSA) to conceal their use of former ISIS members. Some FSA troops are also very open about their allegiance with and connections to Al Qaeda, a video was also released online of them singing songs of past victories in battle “How we were steadfast in Grozny, and Dagestan, and we took Tora Bora! And now Afrin is calling to us!” The YPG has responded by saying “Turkey uses ISIS like toilet tissues, they will be used, and thrown away” the Turkish military has also attempted to hide the fact they are using ISIS fighters by steering them from identifiable tactics such as car bombings. One Turkish officer quoted as saying “we leave the suicide attacks to the YPG and PKK so that the world will be convinced they are terrorists”. So, given all of this, the human rights abuses, the use of former ISIS members, the displacement of millions of civilians, the execution of refugees, the complete disregard for human life, why is this not in the news constantly, where is the solidarity for the Kurdish struggle in Ireland ? We, the Connolly Youth Movement must raise our voices and make them heard in Belfast, Cork and Dublin. As the Marxist youth organisation of Ireland, we must lead the charge in the assistance for our brothers and sisters of the revolution in Afrin and all of Kurdistan.